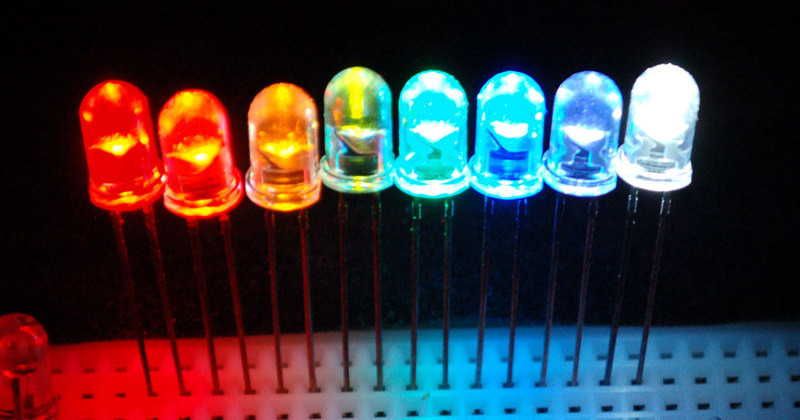 A light-emitting diode (LED) is a two-lead semiconductor light source. It is a pin junction diode that emits light when activated. When a suitable voltage is applied to the leads, electrons are able to recombine with electron holes within the device, releasing energy in the form of photons. LEDs create light by electroluminescence in a semiconductor material. Electroluminescence is the phenomenon of a material emitting light when electric current or an electric field is passed through it - this happens when electrons are sent through the material and fill electron holes. ... They emit photons (light). For more information about LED lighting, contact Pacific Lamp.